Epochal changes in science, technology and globalization have transformed traditional power structures in the world, opening the way for citizens to participate in society in a way that they could not before. And change is accelerating. While we do not know what tomorrow’s problems are going to be, we know there will be many, and we know we will need everyone equipped to deal with them. We all must be emphatic innovators, able to collaborate, create, and act in changing environments. opencare Playbook aka "Co-designing care services: a practical guide" is a little contribute for all innovators who wants to start to make a change in their community. The Playbook describes a general path for starting collaborative processes that you can adapt as needed. The playbook is related to engagement processes (local and online), co-design sessions, prototyping and sharing documentation as parts of the entire process. Sharing documentation to facilitate replicability of processes and results. 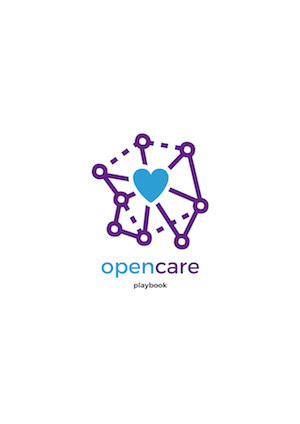 The Playbook is a collection of notes, tools, tips and tricks about the opencare.cc project. It is a work in progress and it&apos;s organized in such a way so that everyone can start from here to replicate changing process of opencare project. WeMake | fablab makersapace: is based in Milan (Italy) and provides a series of innovative services and training to the creative community of the region in the field of digital and traditional manufacturing, high-value technologies and access to a fully equipped Fab Lab. We foster the development of a new model of designer-producer (maker) and small-scale company by facilitating the engineering phase, the rapid iteration of design solutions, the on-demand production of physical/digital artifacts. This project has received funding from the European Union&apos;s Horizon 2020 research and innovation programme under grant agreement No 688670. The book has been built on top of the gitbook service.